Officiant Guy has been a wedding officiant at this inspiring and unique wedding location and was very impressed. 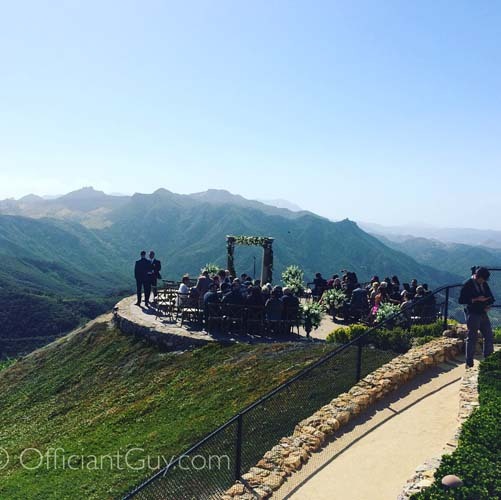 This Malibu hills wedding venue awaits you with a beautiful 360-degree view in the Santa Monica Mountains with a view of the Malibou lake in one direction, the ocean in another direction and vineyards all the way up the hill as you approach. There is an Italian stone villa with a balcony where drinks take place. There are many wedding ceremony locations on the vineyards. 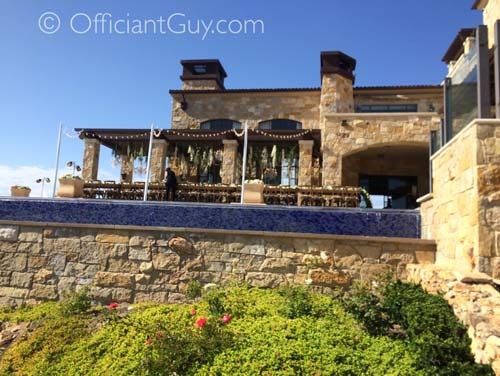 Officiant Guy’s favorite wedding spot is on the stone helipad that with a breathtaking 360-degree view. 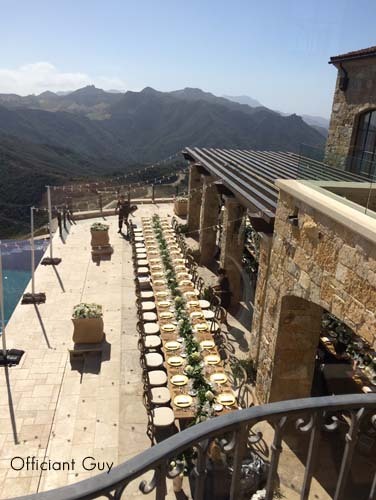 The reception can take place on the patio of the Italian villa next to the infinity pool which seems to drop off into the mountains or inside. If you want the charm and beauty of an Italian vineyard consider this wedding venue in Malibu. 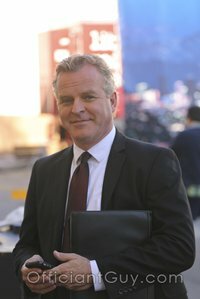 Chris Robinson is Officiant Guy, an incredible wedding officiant for Malibu weddings who can make it easy for you to get married by issuing you a California marriage license right before your wedding ceremony. 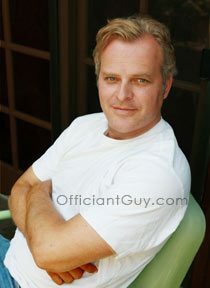 Chris has been a wedding officiant for decades and is often performing Malibu weddings. 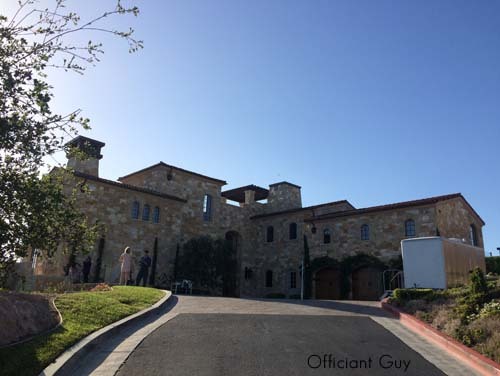 Give him a call today to see if he is booked for a wedding on the day that you plan to be married at Malibu Rocky Oaks Estate Vineyards.